That’s Madame #ResetYour Ambassador to you! This is mine! 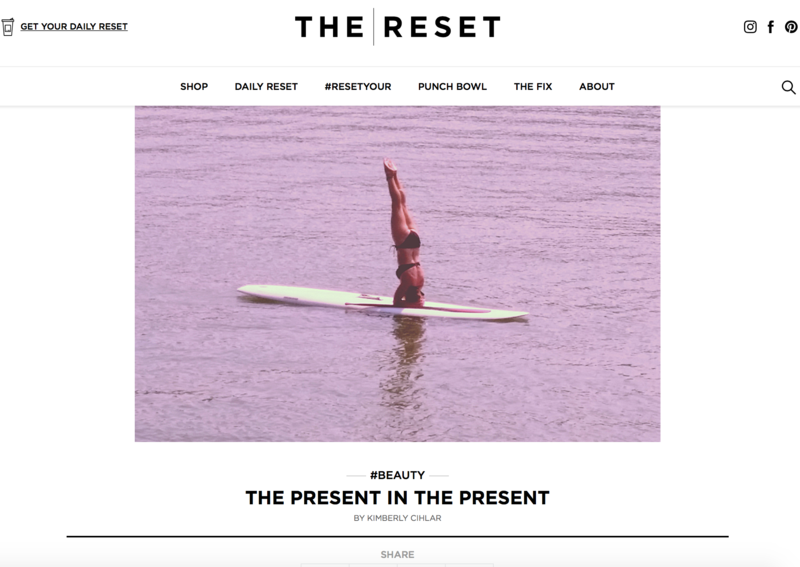 What’s YOUR Reset? I couldn’t feel more honored or appreciated…. Guess who’s #ResetYour Ambassador over at The/Reset today?! Me! And, yes, that’s me, below, SUPing on my head. There was a lot of resetting going on before I got to that point in that picture and to where I am today, even since writing that post. As part of the body positivity wellness movement, I still have a lot to accomplish and a long way to go. But maybe I can help inspire just one person to take similar steps. Please have a read here. Dive in, the water’s warm. Me! #ResetYour Ambassador of the Day! My dear friend Lisa Marsh is part of the start up over there at The/Reset, the new site launched recently by founder Maria Peevey. The #ResetYour stories are awesome and inspirational. Lisa’s put together a great group of writers and cheeky stories. And starting to trickle in, fashion for sale. Yup. Ultimately, The/Reset will be “resetting” your closet. Check it here. Happy paddling! What will #ResetYour__________?